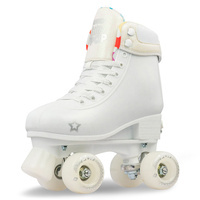 This classic, high white boot features modern lines and professional appointments. From it’s composite plate with adjustable toe stop, right down to it’s slimline artistic wheels - this skate is all class. 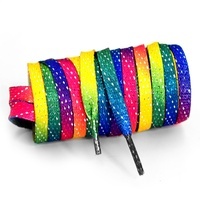 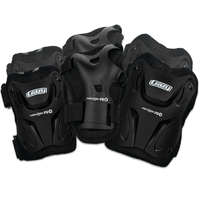 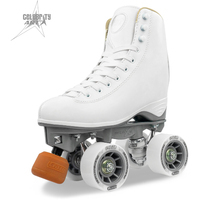 To complement it’s beauty with strength, the Celebrity Art boasts a durable vinyl boot, metal lace hooks, double reinforced eyelets, 6 point plate fixing, metal trucks, steel kingpins, fibre reinforced skate plate and counter reinforcement for extra ankle support. 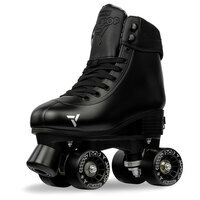 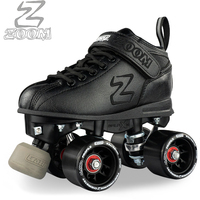 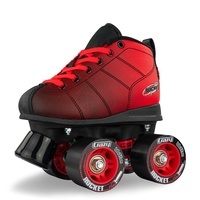 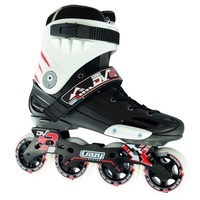 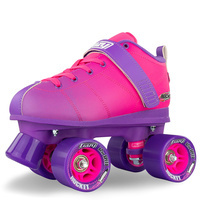 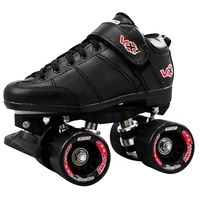 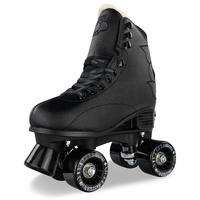 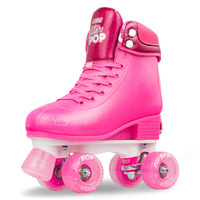 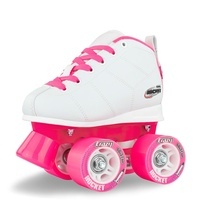 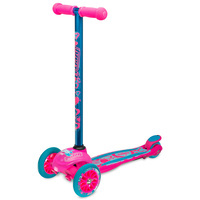 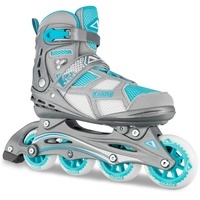 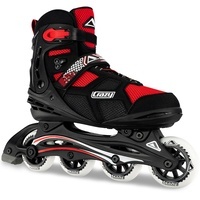 The geometry and rigidity of this skates design, provides a superior action - Giving a smooth, powerful glide and making challenging manoeuvres a breeze. 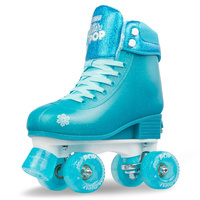 The platform for future champions, or those who already have a lifelong love of skating - The Crazy Skates Celebrity Art is the embodiment of skating elegance.